I was on my way into Lawrence today in search of another storefront to add to my series, but this storefront in Methuen caught my eye. As I drove past it it occurred to me that the unique signage might not be a perminant fixture, so I doubled back to get the shot. 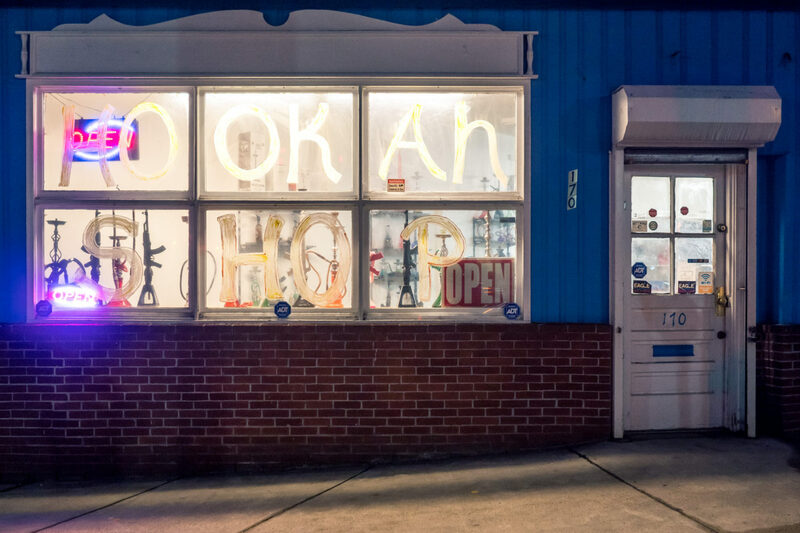 If the big hand drawn “HOOKAH SHOP” goes away, I do hope the assault weapon hookahs remain!